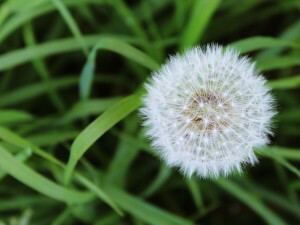 Is your lawn overrun with weeds? It can be hard enough to keep your lawn looking neat thanks to our long north Florida growing season, sunny weather, and high humidity, which causes grass to grow quickly and need to be mowed often. But it’s not just the grass growing quickly- it’s also the weeds! Fortunately Mr. Tree and Lawn Service is here to help. In addition to offering mowing, edging, pruning, and leaf blowing to our residential landscape maintenance clients, we also provide weed control. Read on for some weed control tips to help you keep the interlopers in check. First, it’s important to maintain a consistent lawncare schedule so that weeds don’t overtake the healthy lawn you’ve worked hard to develop. Making sure your lawn is properly fertilized, watered and mowed on a consistent basis is key, which is why busy homeowners often turn to us for lawn maintenance in Gainesville. That way you can be assured that your lawn is getting what it needs, when it needs it. Unfortunately, sometimes preventative lawncare isn’t enough, and weeds may need to be removed mechanically, pulling them up so they can’t regrow later. This can include cutting grass or pulling certain types of weeds by hand so they don’t regrow during the year. Grassy weeds: Thin and similar to normal grass, crabgrass, dallisgrass, and bahiagrass can give your lawn a patchy and uneven appearance. Broadleaf weeds: Chickweed, henbit, dandelion, spurge, and wild onion are easy to spot and take away from the beauty of your lawn. If necessary, chemical methods can be used to treat weed infestations, but it’s important to use the correct weed killer in the correct amount in order to kill the weeds without harming your lawn, negatively impacting the local environment, or posing a danger to your family and pets. At Mr. Tree and Lawn Service we have over 20 years of experience in lawn care. Let us use our experience and knowledge to keep your lawn looking great! Give us a call at (352) 682-4444 to get an estimate on our Gainesville lawncare services.